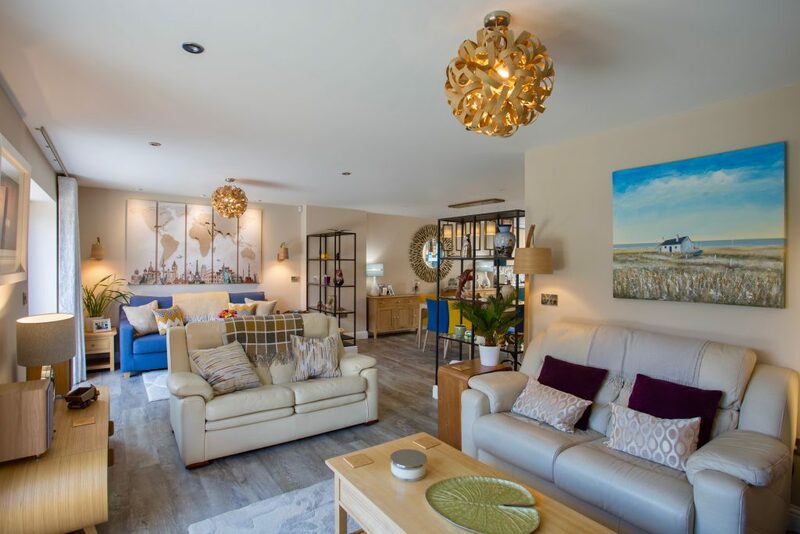 Chameleon Interior Designs were asked to help design the interior on this new build house in the Georgina market town of Reepham, Norfolk. The design consisted of all the interior rooms and spaces, which were three bedrooms, office/study, Master bedroom en-suite, ground floor shower room, utility room and broken-plan ground floor living/dining and kitchen. 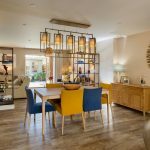 We worked closely with the developer and the clients on all the internal layouts including full lighting design, kitchen and final finishes. 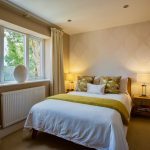 The client brief was for a boutique style master bedroom and en-suite as this was their main bedroom, plus two additional smart guest bedrooms and family bathroom. Plus a sizeable office, come library on the top floor. 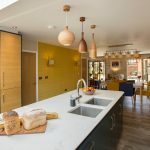 The house was designed with lots of light and windows, so we worked with this particularly on the ground floor to give a great entertaining space, another request especially kitchen design and function, but also a cosy living space. The addition of the ground floor shower room and sofa bed in this space was for when elderly relatives came to stay. 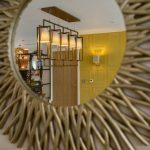 We worked with the clients existing pieces of furniture and incorporating these into the scheme. 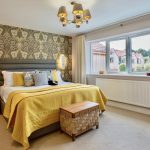 A great deal of the design work, working closely with the client and main contractor (6 months for this stage), prior to work on site, was taken up with achieving the flow and cohesive feel of all the rooms whilst giving them their own identity. 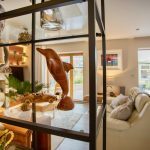 This was achieved by being extremely creative with the designs by using some statement pieces, plus other items from our extensive suppliers, plus high street retailers. . The lighting was co-ordinated throughout using matching wall and light fixtures which meet current building regulations. In addition placement of sockets and a clever use of lighting circuits were installed to add interest and layers of light to the scheme. Here at Chameleon Interior Designs we strive to maintain a close bond with nature. That’s why we’re always trying to find new and innovative ways to bring the outdoors inside. Introducing houseplants and green foliage to your home or workplace not only makes your interiors more aesthetically interesting, but has also been proven to boost mood, productivity and purify the air. Here’s some inspiration for ways to bring the green trend into your home this spring and beyond. For the Living Room As a place of rest and relaxation, your living room should breathe life in abundance. Proven to reduce stress levels, surrounding yourself with houseplants is a great way to create a green oasis in your home. Design tip: A tall or short planter elevates your plants to different heights adding depth and structure, creating the illusion of a forest scene. For the kitchen Growing herbs in your kitchen is a fantastic way to give your space a lift (as well as adding a touch of freshness to your cooking). The beautiful fragrances that herbs naturally release transport your kitchen to the Mediterranean, while splashes of green add vibrancy and interest. Wall planters are s a tidy and innovative way to store your fresh herbs, without cluttering up your surfaces. Design tip: Herbs and plants aren’t the only things you can display in your wall planter; storing fresh fruit such as lemons and limes in the handcrafted ceramic bowl will add fun and colour to your interior. For the bathroom Being short on space does not mean you have to scrimp on foliage. Suspended from a single brass-ceiling hook a ceiling planter is an innovative and stylish solution to growing plants in a small, narrow space. Design tip: Bathrooms are a great place to grow houseplants that thrive in more humid environments. Aloe Vera is incredibly useful and easy to care for, as it can survive on the humidity of the bathroom alone, whilst English Ivy is one of the best plants for air purification. 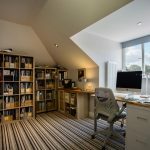 For the Office Whether in a home office or professional workplace, there are many reasons why green should be incorporated into an interior design plan. With a wealth of evidence to suggest the presence of plants increases creativity and productivity levels and reduces stress, there’s no better time to go green. Design tip: Positioning plants using our a wall or ceiling mounted planter makes them easily visible even from your desk, meaning you’ll never miss out on the benefits of green. With more people choosing to stay in their own homes, or with relatives, as they grow older, there are many things to consider to ensure it’s a safe and practical place to live. And bathrooms for the elderly are an essential part of future proofing your home. 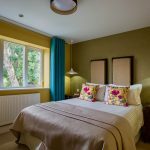 Known as ‘aging in place’ – living in the home and community of your choice as you get older– the number of elderly people opting to stay at home, or with family members, instead of living in a care home is on the increase. The aging population is also on the rise, with the Office of National Statistics (ONS) predicting that, by 2039, it will be 29.5%, up from 23.2% this year. Continuing to live at home brings a host of benefits to the elderly. From mental wellbeing and familiarity to comfort and independence. So, how can you make sure your bathroom is safe, easy to look after and adapted to your needs as you age, without compromising on style? 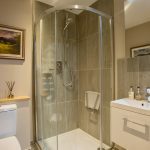 It’s far easier for an elderly person to get into a shower than a bath, and there are a range of large shower trays and enclosures available that have been designed specially to replace a bath. Wet rooms with frameless shower enclosures are an ideal solution. With no floor threshold to worry about, they are a great choice for wheelchair users and can be made to measure offering the scope for a larger area with a shower seat, a bigger door opening or even a split level so a carer can help with washing. Within your frameless shower enclosure you could fit grab rails – there are many stylish designs available in a variety of metals and painted finishes. A tiled shower seat offers comfort and convenience and can even be accompanied by a foot rail, to eliminate bending. A hand-held shower can be combined with a fixed showerhead – and even body jets – for an indulgent shower while comfortably seated. If you prefer a bath, however, there are specially designed versions that have a side access door and shower screen. Although costlier than a traditional bath, they are far more convenient and easier to get in to and out of. 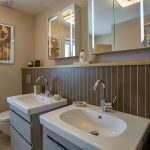 There are a wide range of toilets, basins and taps on the market to make using the bathroom more convenient for the elderly. Raised toilet seats – at 80mm to 100mm higher than a standard toilet – are easier to get on and off, and even more so when accompanied with a wall-mounted grab handle. You can also get versions with armrests and electronic washing and drying functions. A wall-hung basin is an ideal alternative, allowing room for a chair or wheelchair for comfort and ease. You can fit these at whatever height suits you best and there are even adjustable versions available, to adapt to the needs of multiple users. Lever taps are less awkward than rotary controls, and fitting temperature control ones is a simple and effective upgrade to your bathroom. While anti-scald taps are now a legal requirement, some older homes may still not have them. A simple way to make the bathroom safe, and help to avoid any falls, is by using lighter toned tiles with high slip resistance. Whatever floor covering you choose, whether vinyl, porcelain or natural stone, tiles with a high slip rating will give a good underfoot grip in both wet and dry conditions. Use alongside non-slip mats around the bath and shower areas. A good extractor fan will also help, by removing moisture from the bathroom and helping to dry the area quicker. Electric under floor heating is another good way to speed up drying, as well as providing wonderful comfort and evenly dispersed heat. Under floor heating also helps to prevent mould, making maintaining your bathroom simpler. Not all under floor heating is suitable for use in a bathroom, so check to make sure. It must also be competently installed. Without sufficient lighting, there’s a higher chance of an elderly person falling or slipping in the bathroom. Bright, even light is ideal and will make day-to-day tasks easier. Automatic sensory lighting is a good idea, particularly for accessing the bathroom at night, while LED lighting used to light floors and walkways will help at all times. 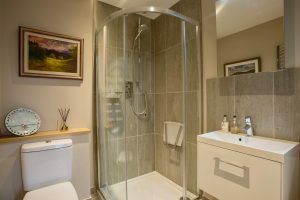 It’s worth noting that bathroom alterations for people with disabilities or impaired mobility may qualify for VAT exemption. © Chamelion Interior Design. All Rights Reserved.